Trailhead: 30 miles up Logan Canyon a short distance past the Bear Lake summit (GPS: N41°55′500″ W111°28′300″) Park in the large lot that has a restroom. 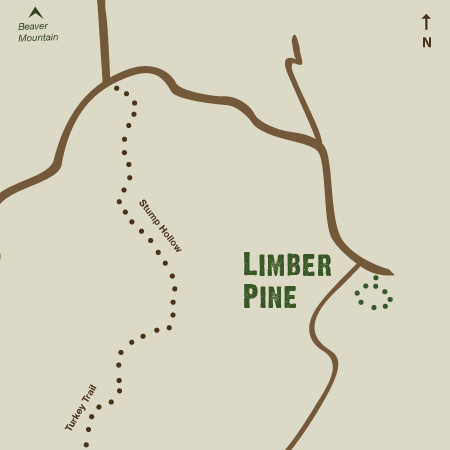 Route: Limber Pine is "a short walk with... a series of switchbacks through... [fir, aspen, and] wildflowers. 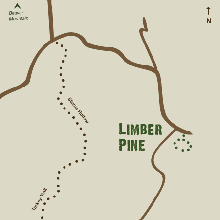 The goal is a large limber pine, which is actually several trees that have grown together.... 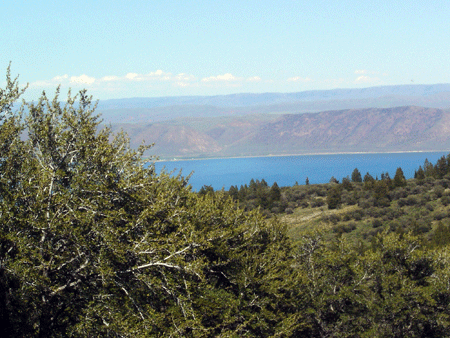 There are stunning views of Bear Lake from several points. "A series of interpretive signs along the trail provides information about the flora and fauna. The hike will take about an hour, although groups with small children should plan to take a little longer. 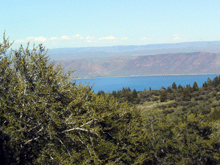 The trail has a couple of steep sections and a smooth walking surface." It may be snow-covered during some parts of the year.